During a seminar with Kori on the first day of 7K each of the adult skaters chose a phrase of our goal for the weekend. Among our choices were “be in the moment,” “go for it,” and “be fearless.” Mine was “feel it.” I’m sure all of our intentions were in the air during our most playful classes on the ice. Movement in the dark class was a big playtime with glow sticks and tag improv. Elite men Jordan Moeller and Ben Jalovick skated a fluid and funny improv duet to Bohemian Rhapsody, spot on with the music and the action of the song, while we laughed and cheered them on. Then we all did improv in duets. Edge class with Rohene Ward was fun and challenging, too, especially when we got going on extra-fast cross-strokes. Rohene was recovering from a cold and very soft-spoken, but he circulated around encouraging everyone. It was a joy to watch him demonstrate each move with such fluidity and style. 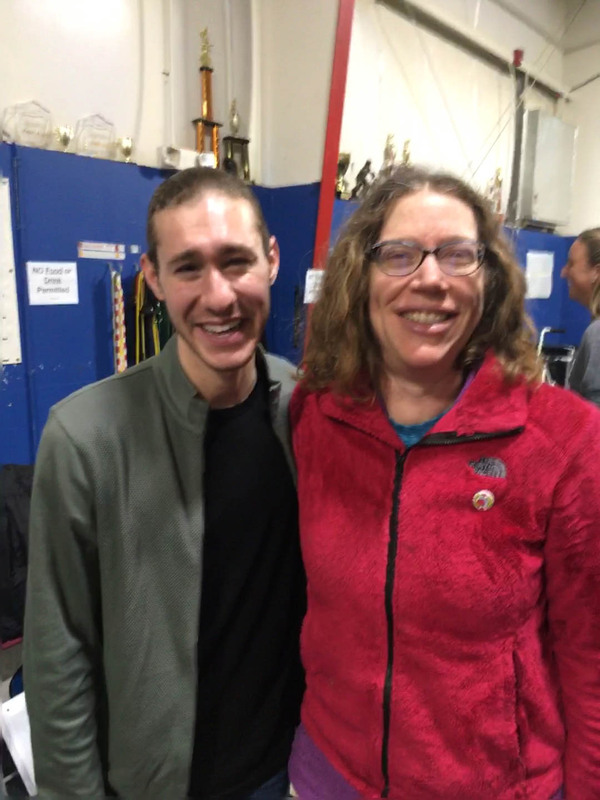 One of my hopes for the 7K Adult Getaway was that I might get to skate with Jason Brown, so I was thrilled to find out that he would teach our group footwork. He put on some upbeat dancing music and started grooving to it with his infectious energy and joy. We made a circle and he pointed at each of us in turn to do a dance step or two for the group to copy. Despite a little self-consciousness on my part, I really enjoyed our dancing together. Jason talked to us about his “tough week” at Nationals which happened the week before our camp. He placed sixth at Nationals and is the first alternate to the Olympic team. As the 2015 national champion and an Olympian in the last cycle, that can’t be easy, but Jason seemed to have a very grounded attitude about not making the team. He talked about processing his experience and eventually concluding that he loves to perform, he loves to be on the ice training every day, and neither of these things changes based on his competition results. Jason choreographed a short piece for us to learn set to “This is Me” from The Greatest Showman. It’s an upbeat anthem celebrating individuality and not letting the critical herd get you down. I didn’t know the song before, but it was perfect for the occasion. He taught the steps of his choreography to us and we performed it in two groups with Jason leading us. I wouldn’t have known I could do twizzles into a back pivot, but like many of the other adult skaters, I copied Jason and it worked. Jason’s class was fun and focused on the joy of skating. It’s a great memory from 7K. 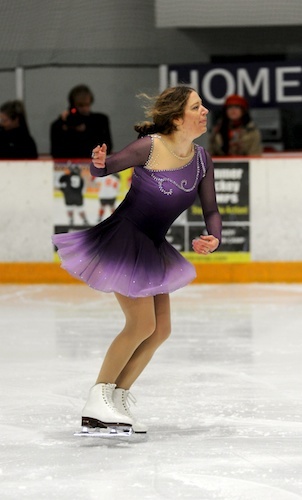 Spokane 2010 US Nationals Memories Spokane figure skating events- Remembering the 2010 US Nationals and looking ahead to the Team Challenge Cup. Team Challenge Cup Red Carpet Red Carpet event for the skaters, press, and local skating clubs at the Team Challenge Cup in Spokane, April 2016. A New Program for Sectionals A new freestyle program for Sectionals with music by Lemon Jelly. OMG – I am so jealous you got to attend this camp and work with all those world class athletes and coaches! What an unforgettable experience! Think about coming next year, Eva! Both the on and off-ice classes were very good and it’s a truly positive atmosphere at the rink in Monument. This sounds like an incredible experience for you! It was, I loved it and I think the motivation from it’s going to last for quite a while. What an incredible experience and a terrific photo! Definite smiles all around. Thanks so much for sharing the fun–I want a video of those twizzles into the back pivot! There is a video on the 7K Adult Getaway Facebook group if you want to join that and search on “Jason” or “choreography lesson.” If I have my lefts and rights correct, it was RFI twizzles, then reaching back with the left toe pick on the backward part of a twizzle to start the pivot. Sounds like big fun, Mary! Skating with, learning from the stars! What a fun camp and isn’t Jason the best? The consummate sportsman and so incredibly grounded and positive. I was sad watching his performance at Nationals because there is no more beautiful skater than he and his long program is a work of art. I’m not surprised at all that he’s keeping an optimistic attitude about all of it. We all love Jason, don’t we? You can take some big Chicago pride in him.